This red leather belt (reddish-brown) redefines the words rustic and rugged. 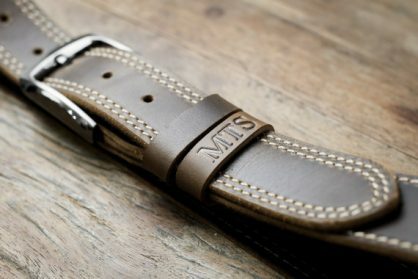 To make belts that built to last a lifetime! 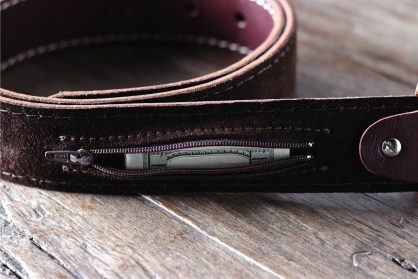 *Please note that the hidden pocket is sewn into the inner lining and designed to fit only one small item. i.e. 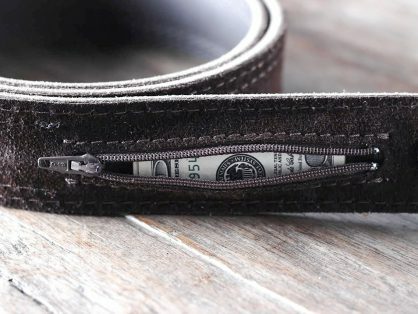 a dollar bill folded four times. 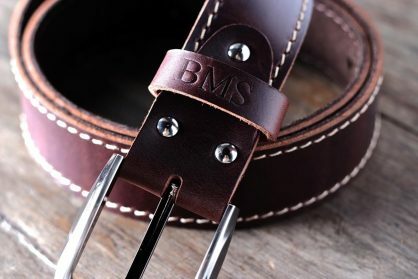 **The set location for the belt personalization is on the belt loop near the buckle; this restrains belt personalization to four characters max. 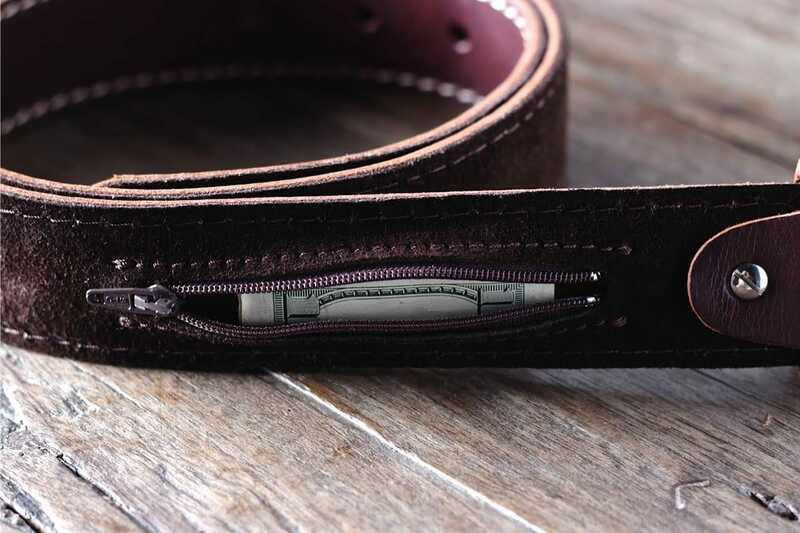 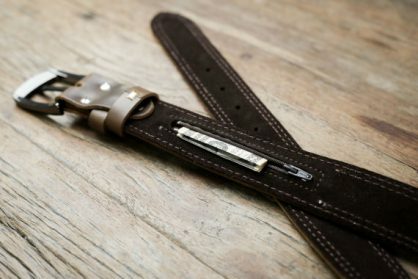 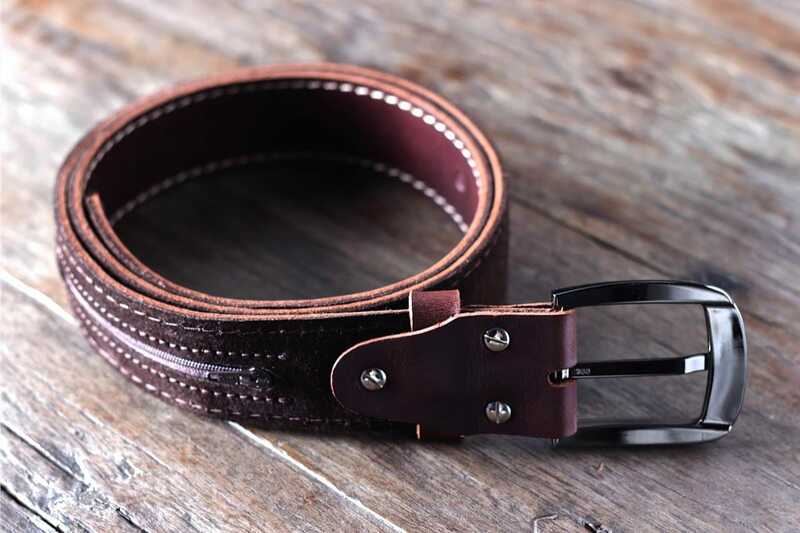 High quality and solidly made, the full grain distressed leather used in JooJoobs belts, only gets better as it ages. 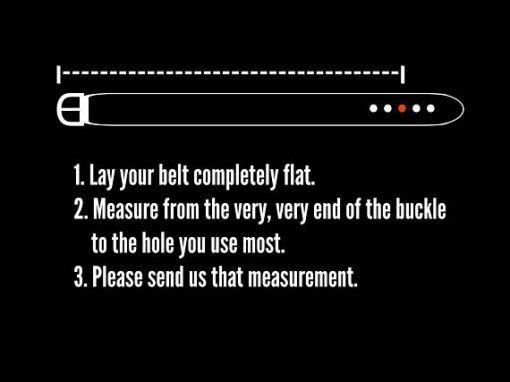 Please visit our belt sizing instruction page, to ensure you order the correct belt. 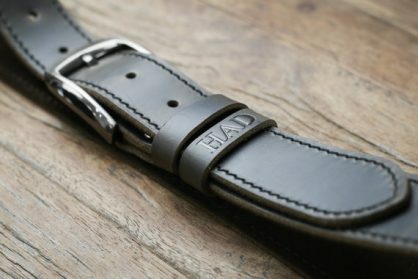 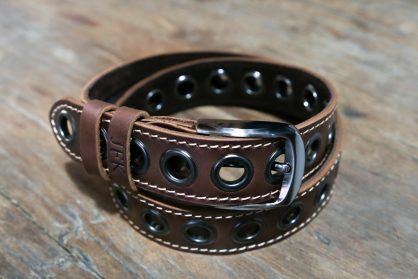 Want to see more awesome handmade leather belts? 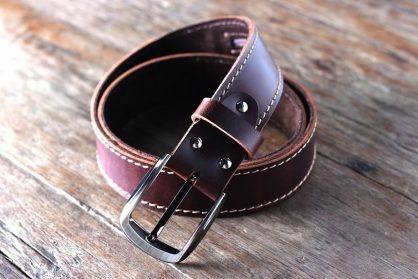 Read here to learn more about the history of belts. 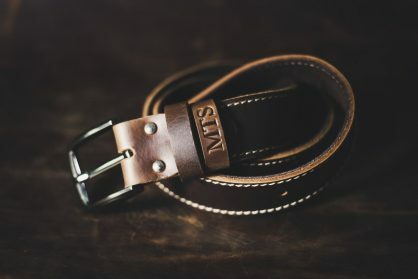 Read here to learn more about the different grades of leather, what to look for when making a leather purchase online. To learn how to treat and care for wet leather, check out our guide. For other leather related questions, visit our leather facts page.